Alan Wake and Quantum Break developer Remedy Entertainment is losing its CEO, Matias Myllyrinne, who is soon taking up an executive role at World of Tanks developer Wargaming, GamesIndustry.biz has learned this week. Remedy is 20 years old and Myllyrinne has been with the Finnish studio for 15 of those years. He told us that he's simply in need of something new in his career now. While Myllyrinne stopped short of specifically blaming the demands of AAA development for his departure, he did note the huge jump up in effort required for the Microsoft-exclusive Quantum Break (which has already been delayed several times). "AAA can take a lot of effort, but it feels like a worthwhile undertaking. The leap from Alan Wake to Quantum Break is close to 3x in terms of work alone. There is just a lot of ground to cover - certainly if you are building a new IP with new technology on a new platform. But Remedy is one of the few places that can produce new AAA IP and build original franchises," he remarked. "AAA has always been fun for me, but I do ask myself, 'when is the last time you have done something for the first time?' I think it is a tagline from a cheesy airline poster I saw at Heathrow, but it stuck with me. I love Helsinki and it will always be my home, but a change of scenery felt welcome. I've lived around the world as a kid, and this has been the longest I have been in any one place. Cyprus, Wargaming's HQ, seems like a warm and welcoming place." Myllyrinne assured us that work on Quantum Break will be unaffected, and in fact, the delay into 2016 was more about release timing and market strategy than a problem with the project. "Every project has a lifecycle and this one is past the hard inflection points. It looks great and is coming together nicely on schedule. To be clear, we have seasoned project leadership in place, and they do most of the heavy lifting anyway. I wish I could take credit, but as CEO, you need to be careful about what your level of involvement is. The team needs to have room to breathe and let the experts do their jobs. We moved the project out to 2016 to avoid some of the holiday rush in the market and within Microsoft's portfolio. 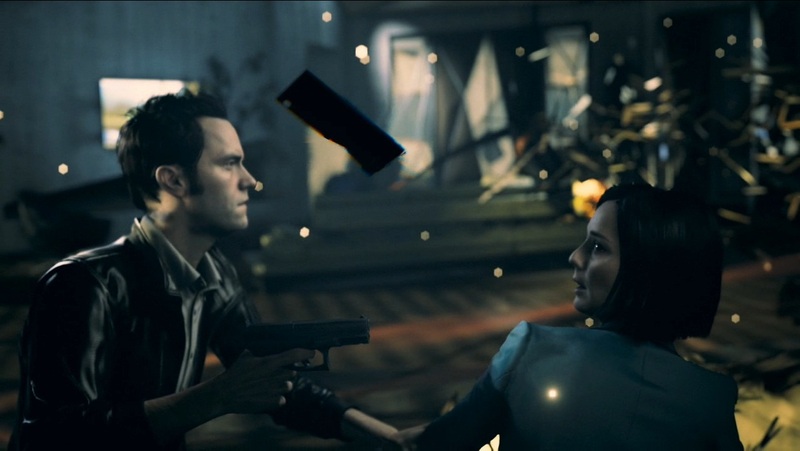 Personally, I think there is more runway for a new IP like Quantum Break in 2016. Of course, we are making the most of the time and polishing the game," he continued. Myllyrinne became CEO in 2008. He plans to serve his last day in that role at Remedy in just a few weeks, and after his departure - he's said goodbye on the Remedy blog as well - Remedy co-founder Markus Mäki will step into an executive chairman role. While the timing of Myllyrinne's leaving is not ideal, since Remedy's Ozz Häkkinen (who served as head of franchise development) also recently left to form Futurefly, he stressed that Remedy remains in fine shape even with the changes. "Today the team is over 130 strong and represents talent from 20 nationalities and we have enjoyed five consecutive years of profit in a competitive market," he noted. "We remain one of the few independent studios in the world who have had a hit on console, PC and mobile." "I like to think that a little bit of Remedy DNA has helped make Finland the development hotspot it is today"
Myllyrinne is confident that Remedy will be more than capable without him steering the ship. "We have a seasoned management team and the business is in steady hands. I think it is fair to say that we have over indexed there, too. One of the things we have wanted to do from the get go is to not just build great games, but to build a great place to work. It is not reliant on any one person or charisma; it is a sustainable system with clear principles. We have a solid departure plan [for both Ozz and myself] and have a clear transition in place," he explained to GamesIndustry.biz. "Morale at Remedy is good. It's more hugs and catching up over coffee on a couch than high-fives, but it is quietly self-confident - business as usual for Finland. Of course, I'll miss the team and believe the feeling is mutual - we have forged lasting friendships over the years." Myllyrinne repeatedly mentioned his time with his teams more than any one accomplishment as his proudest moment at Remedy. "Once you spend some time with the teams hard at work, you can feel it: the motives are pure, and there is a clear sense of purpose. It is real, and everyone is there with integrity and heart - and it's contagious, which is even better," he said. And he also noted the import and impact of Remedy to Finland's game development scene: "Remedy has been the West Point for many of the best game industry luminaries in Helsinki. We've been around for a long time and I am proud that we've helped people learn and develop. Our alumni have moved on to build more success stories. While the credit is theirs - I like to think that a little bit of Remedy DNA has helped make Finland the development hotspot it is today." Myllyrinne noted that his exact title and role at Wargaming will be announced in the coming weeks, but he's been impressed by the company's approach and scale that Wargaming has achieved in free-to-play. "I have a lot of respect for their track record of success and ambition. I've come to know Victor [Kislyi] and others from the team, and it just seemed like a good opportunity to develop further. I can learn from him and the team there. This is also a chance to operate as a part of a multi-studio organization," he said. Game director Mikael Kasurinen on leaving behind the tightly controlled experiences of Alan Wake and Quantum Break for, "a world that can support many stories, not just one story"
We moved the project out to 2016 to avoid some of the holiday rush in the market and within Microsoft's portfolio. Personally, I think there is more runway for a new IP like Quantum Break in 2016. Of course, we are making the most of the time and polishing the game," he continued. That's good news. The last thing they need is another situation like what happened to Alan Wake. It was one of the best games of 2010 but unfortunately launched during the same time as Red Dead Redemption and unfortunately got overlooked by the masses. Quantum Break shouldn't have that problem and from the looks of it is already shaping up to be another must-buy like most Remedy games. As for Matias I wish him good luck on all his future endeavors .